ABE Media are a small yet highly innovative web design company specialised in ecommerce website design, CMS development and responsive web design. We have worked with a wide array of individuals and companies, including estate agents, charities and even celebrity tattooists, always delivering the highest possible standard and regularly surpassing the expectations of our clients. 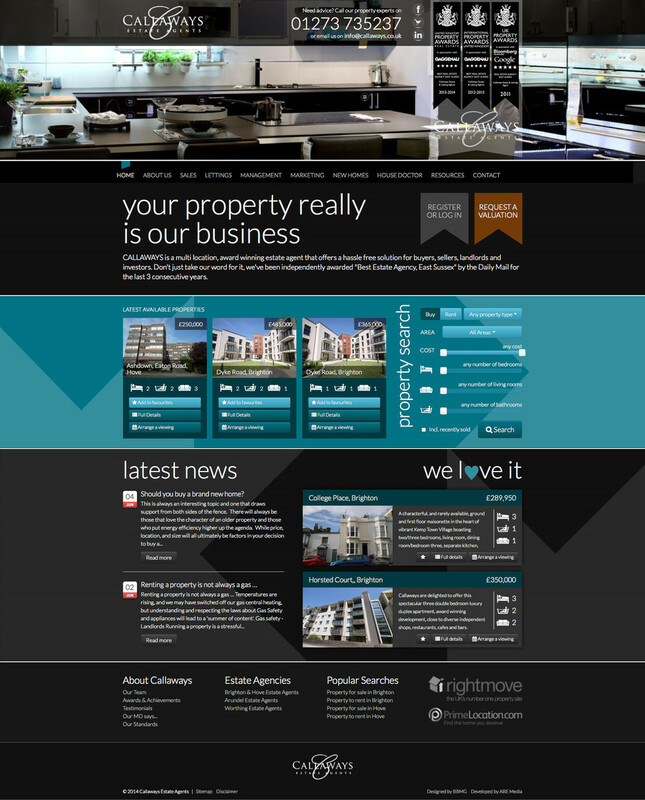 A screenshot from the new website we developed for East Sussex' award winning estate agents.